The Suspense Sisters are kicking off a whole new format for 2014. To celebrate our changes, we thought we should do a giveaway! Here are the prizes you could win! This promotion runs through February 13th! To enter, all you have to do is leave a comment, along with your contact information. For a second chance to win, join our email list! We'll announce the winners on February 16th! The term Point of View is defined as a position from which something is considered or evaluated, a standpoint, or a place of perception. In fiction writing, the position from which anything is considered in any given scene should be the character through whose head we are viewing events. This particular character is the point-of-view character. For simplicity, I will refer to point of view as POV and the point-of-view character as POVC. At a long creak from the attic above, Karen froze, heart pounding. Was that a footfall? Unaware, Karen’s hold on the vase of flowers relaxed, and she dropped it. Karen froze, heart pounding. Was that long creak a footfall in the attic above? She held her breath. Cool moisture splashed her ankles. Karen shrieked and jumped back. That sound hadn’t come from above. She gazed toward her feet at a tangle of bright blooms scattered amid shards of glass and splotches of water on the hardwood floor. Her heart sank. What a fraidy-cat she was. One little out-of-the-ordinary sound and she dropped the beautiful vase of flowers Glen had given her. See how this sequence flows in a linear and logical fashion with only what Karen sees, knows, thinks, and experiences in the moment? We remain firmly in the now. We haven’t run ahead of events, lagged behind, or inserted information that could only come from an invisible narrator. How much more poignant this event becomes when we stay inside the POVC’s head. Bill turned away and didn’t notice Chet slip out the door. Fists clenching and unclenching, Bill gazed around the kitchen. Where was that louse? He had to be here somewhere. Silence answered Bill’s shout. He strode toward the living room. A gentle whoosh of air behind him stopped him in his tracks. Bill whirled. The screen door was settling back into place. The coward was on the run. Now the reader knows that Chet slipped out the door, but we haven’t left Bill’s POV. By refusing to take the lazy way out and “tell” the information through a POV violation, the story becomes much more immediate and exciting. Isn’t the result worth the extra effort? 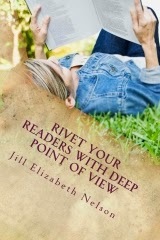 This blog post is an excerpt from Rivet Your Readers with Deep Point of View, a handbook by Jill Elizabeth Nelson, available on Amazon.com. 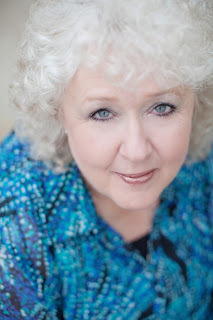 ABOUT JILL: Award-winning author and writing teacher, Jill Elizabeth Nelson, writes what she likes to read—tales of adventure seasoned with romance, humor, and faith. 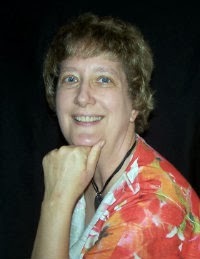 Jill is a popular speaker for conferences, writers groups, and libraries. She delights to bring the “Ahah! Moment” to students as they make new skills their own. Visit Jill on the web at: www.jillelizabethnelson.com or look her up on Facebook or Twitter: https://www.facebook.com/JillElizabethNelson.Author or @JillElizNelson. 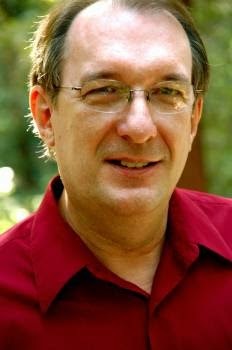 Steve Laube, a literary agent and president of The Steve Laube Agency (www.stevelaube.com), has been in the book industry for over 33 years, first as a bookstore manager where he was awarded the National Store of the Year by CBA. He then spent over a decade with Bethany House Publishers and was named the Editor of the Year. He later became an agent where he has represented nearly 1,000 new books and was named Agent of the Year by ACFW. He was also inducted into the Grand Canyon University Hall-of-Fame by their College of Theology. In addition, he is the president and owner of Marcher Lord Press (marcherlordpress.com). His office is in Phoenix, Arizona. SS: Welcome to the Suspense Sisters, Steve. There’s a lot of buzz about your recent acquisition of Marcher Lord Press. What led you to take this step? Jeff Gerke, who I have known for many years, had asked me for some advice about his company. In the course of the conversation I wondered if he had considered selling MLP. That led to a series of questions and my interest was piqued. I’ve long been an advocate of the Speculative genre. So the idea of taking over MLP felt like a God-directed opportunity. SS: Will this new venture change your focus in any way? Will it affect your literary agency? Nothing changes. Our agency is humming along and I continue to serve my clients and our other agents like before. Most folks don’t remember that I owned another publishing company for 10 years (ACW Press - a self-publishing/packaging company). As part of that I also had a royalty-paying division called Write Now Publications that published books on writing for writers (Ethel Herr’s Introduction to Christian Writing and Terry Whalin’s Book Proposals That Sell are two examples.) Thus I’ve had experience in the publishing side of the business while also running the agency. That company was sold in 2006. SS: Some people have expressed concerns about a conflict of interest. What do you say to them? Marcher Lord Press is a separate company from the agency. As such it is run in such a way that The Steve Laube Agency along with other agencies and authors must submit proposals to MLP for consideration. The contract terms will be the same for all authors. Makes things simple. Working with any publisher is a matter of mutual trust and integrity. If there are issues or questions raised we will address them at that time. SS: What are your plans for March Lord Press? How will it change? How will it stay the same? Most changes are behind the scenes in the business infrastructure. On the surface very little will change. We will still publish great stories by great authors. SS: We understand that not all of the authors previously with MLP will be retained. How did you make these decisions? These are actually two different issues and should be treated separately. I chose not to purchase those assets and agreed to have those publication rights sold elsewhere or revert to their respective authors. Hinterlands was created in 2012 as an imprint of MLP to publish science-fiction and fantasy stories with mature content and themes (i.e. PG-13 or R-rated language, sexuality, and violence). 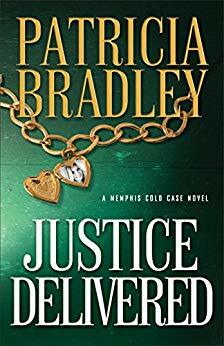 That imprint and all those titles have been sold by Jeff Gerke to a third party and will likely reappear under a new publishing name in the near future. Amish Vampires in Space was not part of Hinterlands and is a well written book (no surprise considering Kerry Neitz is the author). Jeff Gerke, Kerry Neitz, and I discussed this prior to my purchasing MLP. While we have differing opinions on its publication, ultimately it would not have been a book I would have published had I been the publisher. The title has reverted to Kerry and the book is still available for sale in most major online outlets. SS. Will MLP still produce print and eBooks? Yes. It always has done both and will continue. SS: What kinds of submissions will you be looking for? Will submissions need to be agented? We accept agented and unagented submissions. As for content? Fresh and exciting books that fit in the speculative genre. While that is a niche, it is one with endless opportunities for creative writing. Fantasy, Science Fiction, and Supernatural/Paranormal are all parts of what we will continue to publish. SS: Will you be looking to fill other positions? Editors, etc.? Not at this time. We have the editorial side well in hand. SS: Anything else you’d like to share with our readers? I earnestly desire your prayers and support. My long-standing passion for this genre has never wavered. It has been a privilege over the years to work as an editor and as an agent with some of the best this genre has had to offer in Karen Hancock, Kathy Tyers, Chuck Black, Patrick Carr, Randy Ingermanson & John Olson, Lisa Bergren, Tosca Lee, Bryan Davis, Sharon Hinck, Jared Wilson, and others. My hope is to continue those efforts as a publisher and build upon what Jeff Gerke created these past few years. SS: Thanks for being our guest on the Suspense Sisters. We’ll be watching for exciting news from Marcher Lord Press! For those of you who have never read the first book in my Road to Kingdom series, INESCAPABLE, is free right now on Amazon and Barnes and Noble! (An eBook copy.) If you've read this story and liked it, share this information with your friends! Also for a limited time, the second and third book in the series is on sale. You can read the entire series for a little under $12.00 on your eReader! 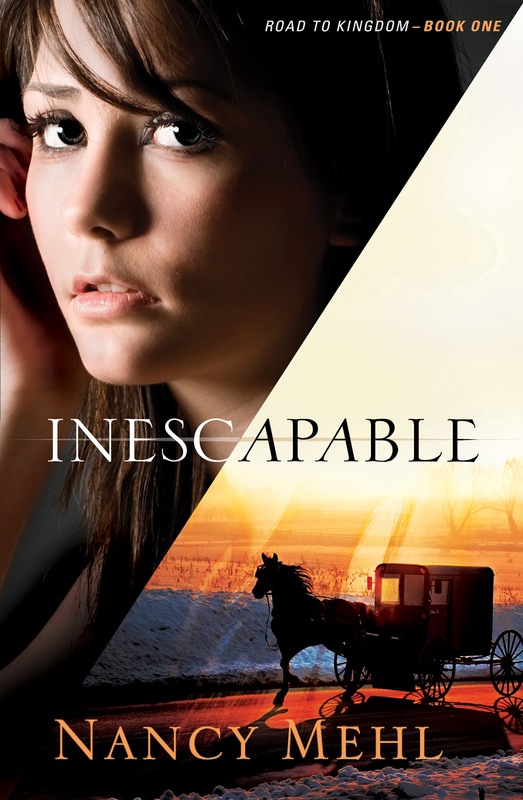 If you'd rather read INESCAPABLE in print, the paper back is on sale for a limited time. It's only $6.00! Would you like to appear in my upcoming novel? All you have to do is read my newsletter, leave a comment along with your contact information, and I'll pick a winner at the end of January. Please sign up to receive my newsletter monthly. There will be more contests in the future! You can find my newsletter here: Newsletter. Watch for lots of great new things on the Suspense Sisters. We're working hard to bring exciting posts for writer and readers alike. Thanks for being a part of the Suspense Sisters! Infatuation is a wonderful feeling. There’s a kind of “high” involved that probably surpasses anything the drug culture can offer. In a good relationship, it matures into a deeper kind of love that involves respect and long-term kindness and loyalty. 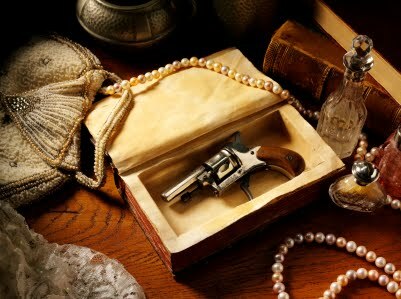 When I first began writing on my mystery, Irregardless of Murder, I wanted to make my main character, Amelia Prentice, memorable. Like me, she had happy memories of childhood spent in a small town. The first chapter of the book had her strolling along a street in her neighborhood. She was on her way to the public library and as she went, she remembered the different things that had happened in each house: baking cookies there, playing tag over here, etc. It was warm, friendly and it established her character. I adored it. I read and re-read it, just to make myself feel good. I was in love with this piece of writing. I was a novice and wanted feedback, so when I saw that there was a professional editor online who would read your first 20 or so pages and give you a critique for free, I jumped at the chance. I sent in my prologue and first chapter and waited eagerly for the kudos to arrive. I soon found that it’s a tough world out there. Not only didn’t he like most of it, but he compared it to Murder She Wrote—and made it clear that he didn’t like Murder She Wrote. As I dried my virtual tears, I assessed his assessment: he didn’t like the reference I’d made in the prologue to a mysterious man. He couldn’t know that it was a pivotal clue to the mystery later on in the book. I dismissed that comment. As for the first chapter, he said it was boring—argh!—and slowed down the action. Hmm. Was he right? I took another look at my adored chapter and realized with a sinking heart that he was. If you weren’t yours truly, you’d be a bit bored reading it. So I remorselessly cut approximately three thousand words from the front of my book and began the action when Amelia awakens from being knocked unconscious in the library. It worked. It was a learning experience. Later, as I wrote more of the story, I crafted a tumultuous and impassioned love scene between Amelia and Gil. It took a lot of effort to write, and set my heart to going pitty-pat, but a week or so later after a sober re-read, I realized that their relationship was different: more subdued, more subtle. After all, it had lain fallow for twenty years. Again, I brutally made use of the delete button and dumped about two thousand words into the stratosphere. When the novel was finished, I felt I had matured enough to control these bouts of self-indulgence. I was wrong. Book number two involved ice fishing on Lake Champlain. Amelia and I did research. We both learned a lot. However, Amelia (my character, I must remind you) was far more circumspect in dispensing the accumulated information than I was. In searching the Internet, I had learned all about what thickness of ice was safe to go out on, what parts of the lake would be safe, the different kinds of equipment one might use—they are highly varied, let me tell you—and even the brand names. I learned what kinds of fish were caught this way, what the fishermen tended to eat (and drink!) while fishing, and all about the various ice fishing festivals out there. I also made use of my extensive study of the fabled Lake Champlain Monster, making use of a fascinating book, Champ—Beyond the Legend by Joseph W. Zarzynski. It was such fun learning about the sightings of the monster and the theories as to what it was. I had my character Dr. Alec Alexander, who has made hunting this monster his life’s work, give a lengthy talk about it at a high school assembly. It went on for pages. I thoroughly enjoyed writing it. It was all fun, but just before I submitted Death Dangles a Participle to my publisher, I went through and tossed paragraph after paragraph of info back into the virtual ice water. I’ve learned that if you’re writing a novel, it can be risky to make it sound like a textbook, no matter how much fun you’ve had with the research. Book number three, Murder in the Past Tense, was finished just before Thanksgiving and will be released in September. 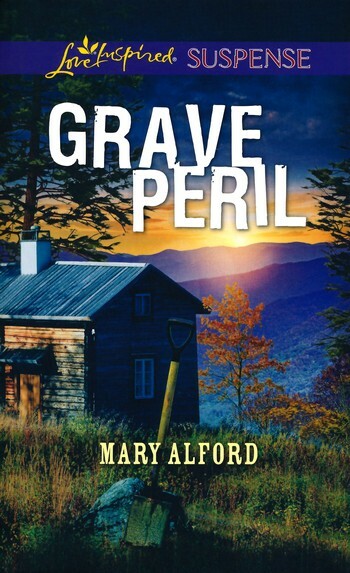 My first prologue involved an Adirondack hermit witnessing the burial of bodies in the deep woods. I named him Nimrod Rabideau. (He’d taken the Biblical nickname for himself—it meant “mighty hunter,” he pointed out.) I’d read another book, Noah John Rondeau—Adirondack Hermit, years ago and had always thought a hermit would make a fun character. He did. In fact, he was a more likeable man than Rondeau. I took pains to explain his background in the prologue: a runaway farm boy, who tried to make it in show business in New York City but was chased out of town by thugs. He narrated this himself. It was exciting, I thought, and went on for pages. I loved it, but my editor disagreed. It bogged down the story, took it in a different and confusing direction, she commented. I looked over the story and reluctantly agreed that she was right. 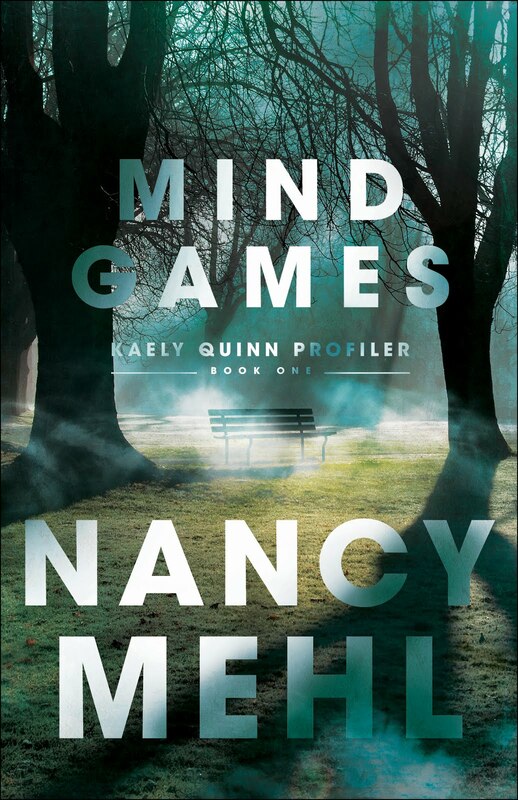 I took the prologue out of the woods and moved it to a toney Manhattan office building, where the murder takes place. Nimrod’s still in the story, but he is less prominent. The book is much better now, I have to admit. Another case of misplaced, self-indulgent love. The takeaway from all this is that as a fiction writer, no matter how much you enjoy what you write and how much you know, you must always keep your reader in mind: Is it fun to read? Is it understandable? Where does the action flag? Are the bits of information digestible for a pleasure reader? ( I’m not one who considers my books deep enough to offer discussion questions at the end.) I’m all about entertainment. So as I work on the opening chapters of book number four, Incomplete Sentence, I am on self-notice: do all the research you like, but keep it fun! Cara C. Putman graduated high school at 16, college at 20, and completed her law degree at 27. 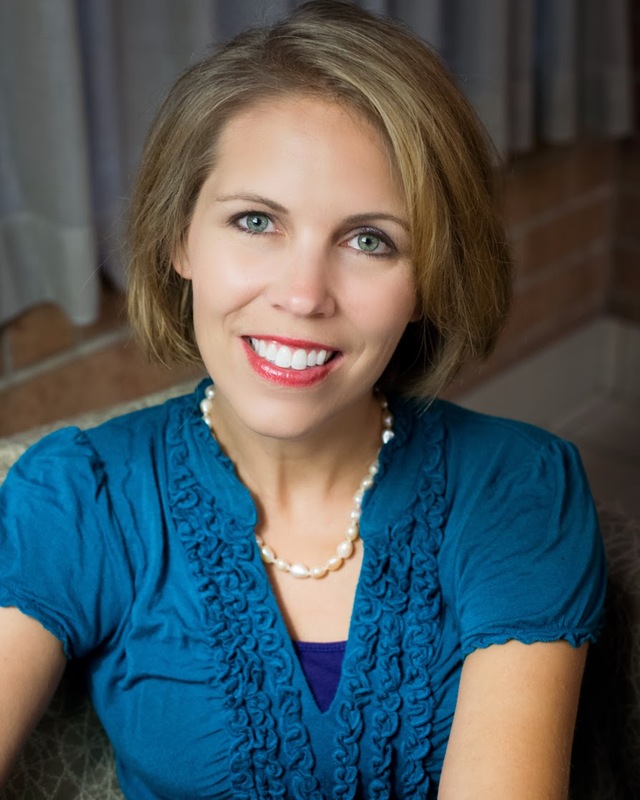 An award-winning author of seventeen books with more on the way, she is active in women's ministry at her church and is a lecturer on business and employment law to graduate students at Purdue University’s Krannert School of Management. Putman also practices law and is a second-generation homeschooling mom. Putman is currently pursuing her Master’s in Business Administration at Krannert. She serves on the executive board of American Christian Fiction Writers (ACFW), an organization she has served in various roles since 2007. She lives with her husband and four children in Indiana. I’ve wanted to write for about as long as I can remember. 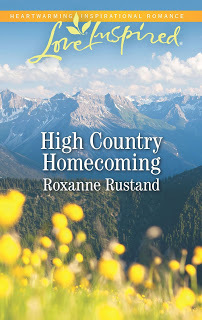 As a 13 and 14 year old I tried my hand at writing historical fiction – one of the beauties of being homeschooled. I was also drawn to journalism and politics. God graciously opened doors in both fields, so I worked for a local TV affiliate as a college student and then worked on a campaign and in the conservative non-profit world following graduation. During this time I got married and then started law school. Throughout it all the desire to write never entirely disappeared. Instead, it would turn to warm coals only to flare to life every few years. 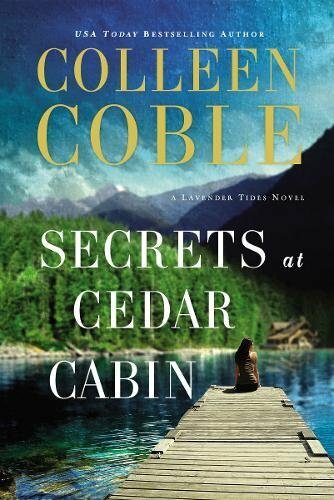 When God’s time was right, He connected me with Colleen Coble and told me to tackle writing. The timing was great because I had two children and was working 4 days a week for a law firm. Eighteen months later I had a contract, and a year after that the first book, Canteen Dreams, released. It’s been a whirlwind since. I don’t write full-time. I’m also an attorney and lecturer in law at Purdue University. I also homeschool my kiddos. So I have lots of different things going on. There are still days I wonder if I’m a real author J But one amazing moment was when my debut novel won the ACFW Book of the Year for Short Historical. It was kind of a Sally Field moment: They like me, they really, really like me. My family. My husband supported me from the moment I asked to go to my first ACFW conference. My mother-in-love has freed me to attend ACFW and other writing retreats. My family buys and gives away many of my books. And my kids say I’ll make the bestseller list. J They’ve all been amazing! I write historical WWII novels and romantic suspense/mysteries. I love a story that has layers and writing historicals allows me to weave the history into the story as a character. My faith is an integral part of who I am. Even when I don’t think I’m writing a faith thread, it’s there. In fact, sometimes that’s my favorite part of writing…discovering the thread as I’m writing and seeing how God’s slipped it in without my being aware of it. Love that! Teach. I love taking complicated subjects and make them easy to understand. I also love that I always have to learn. Right now I’m teaching a brand new class, so I’m as much of a student or more than my students! I have deep respect and admiration for the men and women of the Greatest Generation, and I love telling their stories. Because of that, I’m always on the lookout for new ideas that will spark into a book. In the summer of 2010, I stumbled across a nonfiction book, Monuments Men, and was introduced to this small band of soldiers. Their stories captured me…and the art added a unique twist to the story. It became a story that burned in my heart to tell. The heroine’s search is for her earthly father. And that required a certain level of brokenness between her parents that has overshadowed Rachel’s life. Writing her mother’s journal required putting myself in her mother’s shoes. What would it be like to be a young woman in Italy, the land of romance and love, in the early 1920s? What kind of strength would her mother have to come back to the States and forge a life for them that was the opposite of how she’d imagined her life? 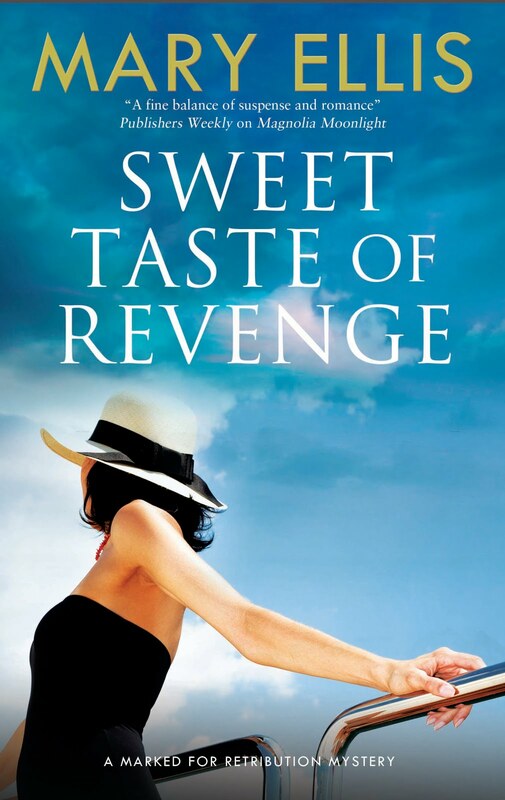 How would it impact Rachel to read those very passages in Italy while searching for the man who abandoned them? It was hard to write at times because I know many people who have experienced that pain of abandonment. One of my heart’s cries is to see people reconciled with God and to understand that no matter what their earthly fathers did, their heavenly Father has promised He never leaves or forsakes them. This novel takes that to a much deeper place. A place that my heart longs to have others grasp and understand…in a way that only story can be heard. Rachel Justice, the heroine, who was actually the last character to come to me. I expected her to be Italian, but it didn’t fit. As I kept digging, I discovered she was a spunky American photojournalist on a search for her father. What she doesn’t realize is it’s a search that shadows her search for God. This woman is willing to go into the heart of danger to try to save her mother, the only other person in her life. 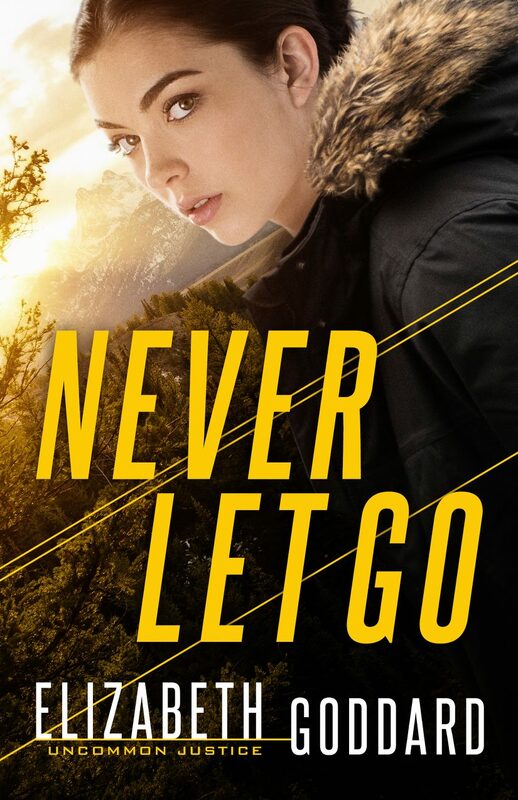 She’s on a search that seems doomed to fail from the start, but she is tenacious and won’t let go. She’s also an artist with her camera, and that makes her more understanding of what the Monuments Men are trying to do. She became a complex and rich character that I loved writing. 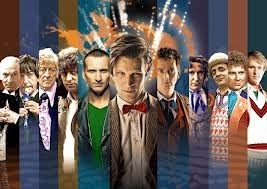 There are so many characters, it’s hard to pick one that I don’t like…especially since I try to give every character likeable features. But Tyler Salmon is someone who carries an attitude around. As the book goes on, you begin to understand why, but the attitude borders on hard to like. My next project is a joint venture with Tricia Goyer and Sarah Sundin entitled Treetops Glisten. This collection is such fun! I love Tricia and Sarah and their WWII novels, so it was a joy to work with them on this collection. We got on the phone and started brainstorming a collection of stories that would fit with the type of WWII novels we each write. “Should be near a big city but have a small town feel.” “Probably located in the Midwest.” “Needs war industry and a university.” I started laughing as I listened, because they were describing Lafayette, Indiana, where I live. Visited Italy and the Normandy beaches. I hope to do that someday – hopefully in the next couple years. Um, I’m not really silly, but when I worked at a TV station, I did a stand-up on the lap of the Easter bunny. I think my photographer really enjoyed that! Law school. Really stretched my mind…kind of like my current MBA classes. A follow up would be training for my first mini-marathon. I’d just miscarried and decided that if I couldn’t be pregnant, I’d train for a mini in three months. I wasn’t a runner then, so that was a good push! People can connect with me online at: Website, Facebook, Twitter, Pinterest, and Goodreads. 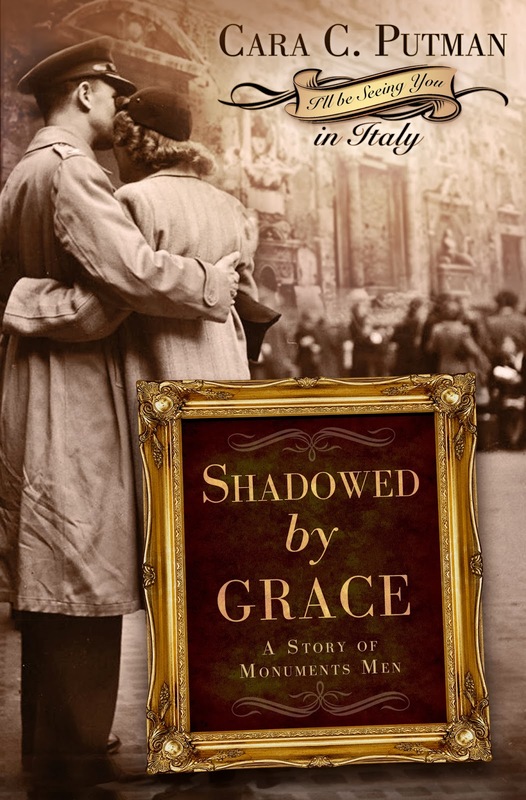 If you'd like a chance to win a copy of Cara's book, Shadowed by Grace, just leave a comment, along with your contact information!